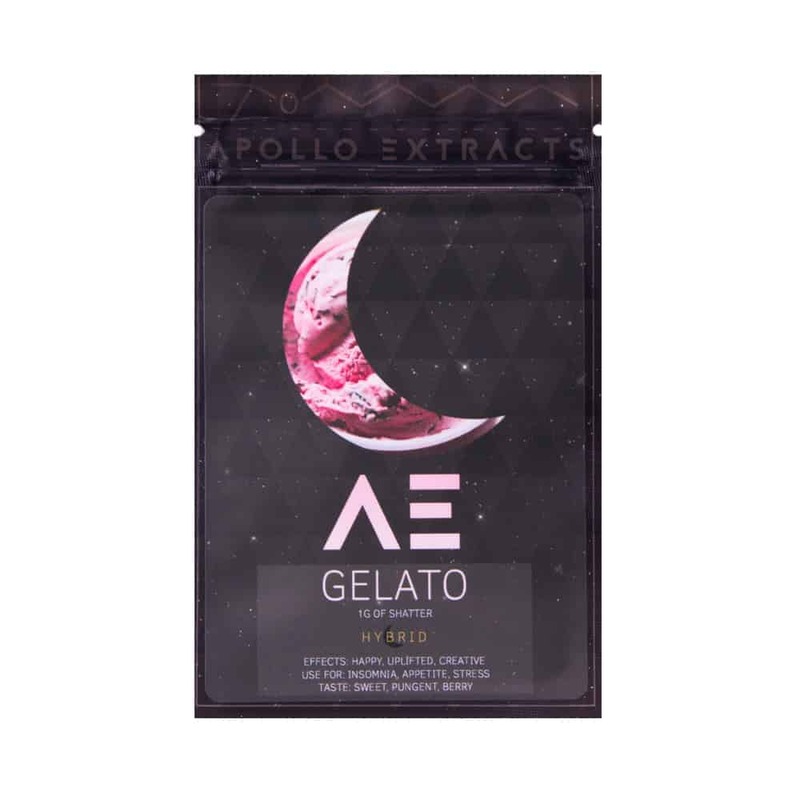 14 reviews for "APOLLO EXTRACTS – Gelato – Hybrid Shatter"
Hello to all at Goldbuds : Very happy with this order. I just got to say it is great for sleeping. If you can sleep this is the best for letting you have a beautiful sleep. I used to have to take 75mg of sleeping pills. Since I got Apollo I have not used one sleeping pill. My doctor is very inpress. Thank you. Yours truly a very happy Gwen. I love this shatter ….. very good for price …… a couple of small tokes and it’s good..
Apollo Gelato may just be my favorite shatter so far. Love the taste! It’s definitely a good reason to clean up that oil covered ‘rig’ to experience the unique flavor all on its own. And, as usual, Goldbuds did an awesome job getting the product into my more than eager hands. For some reason it wont let me choose 5 out of 5 but I literally get this every single order I make almost. By far my favourite Apollo shatter! Taste and buzz. One of my favourite strains, it gives a nice mixed high. I get it every time I do an order now! Taste fantastic, will make you eat literally everything. It’s perfect for a Netflix and chill type of night. This is the only apollo extracts shatter I’ve tried and didn’t like. It get you super high but it taste horrible.